[dropcap]I[/dropcap]usually don’t have an opportunity to visit a theme park unless I am traveling to Florida where there are so many. In New Jersey I have visited Great Adventure and of course our local theme park Keansburg Amusement Park. A theme park is defined as a group of entertainment attractions, rides, and other events in a location for the enjoyment of large numbers of people. Theme parks are usually much more intricately themed to a certain subject or group of subjects than normal amusement parks. 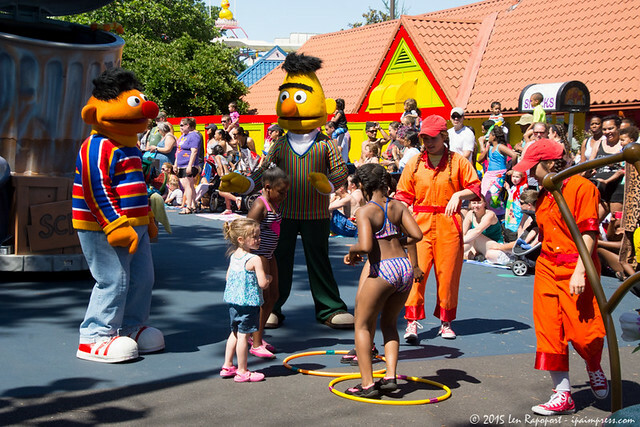 So being able to visit Sesame Place was going to be a fun assignment. I knew bringing the family and grandchildren would make it even better because I would be able to gauge a children’s view of the park through their eyes. I was born in 1943 and we lived in Coney Island and I can tell you I was brought up in a theme park city and it was a great childhood. I worked each summer on the boardwalk as did my brothers and we enjoyed going to the beach and to Steeplechase Park one of the first theme parks in the United States. 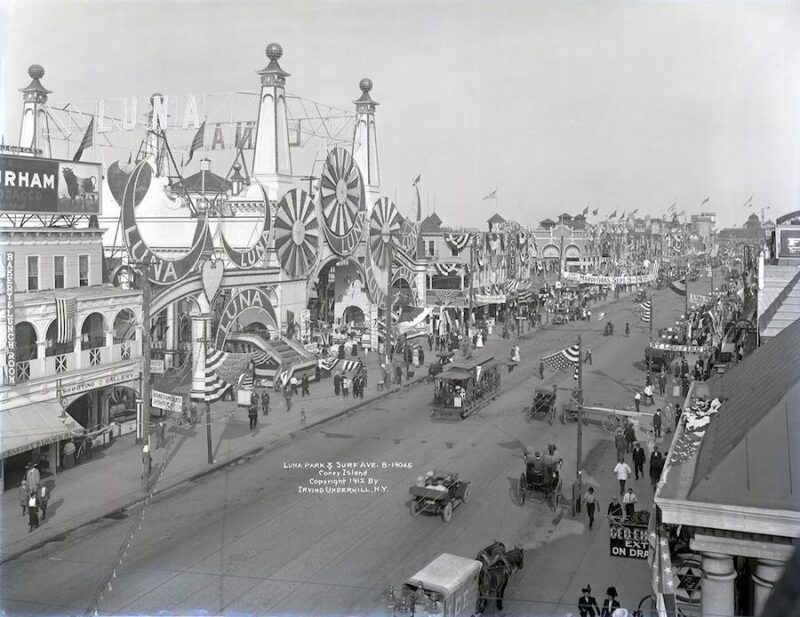 You can see the early days of Coney and Steeplechase in this video. Last year I covered the Coney Island Mermaid Parade, held each year and is the largest art parade in the nation! It is a celebration of ancient mythology and honky-tonk rituals of the seaside. Last year and it was a blast. Covering it again on Saturday June 18th again. See our full article with video here. 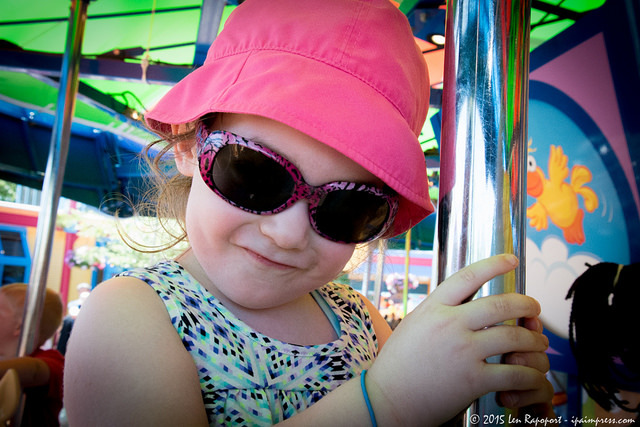 Visiting Sesame Place in Langhorne, PA was going to be an adventure. For me, reliving some of my youth, for my three grandchildren a new and exciting adventure, one they have never experienced before. The drive from Hazlet, NJ to Langhorne, PA was a pleasant one and only took a an hour and fifteen minutes, not bad at all and very little traffic on a Sunday. We had arranged to meet Mike Taylor their Director of Park Operations and Victoria Rihl, Associate Manager, Interactive Marketing on our arrival so we could get our video intro and get a bit more information about the park. 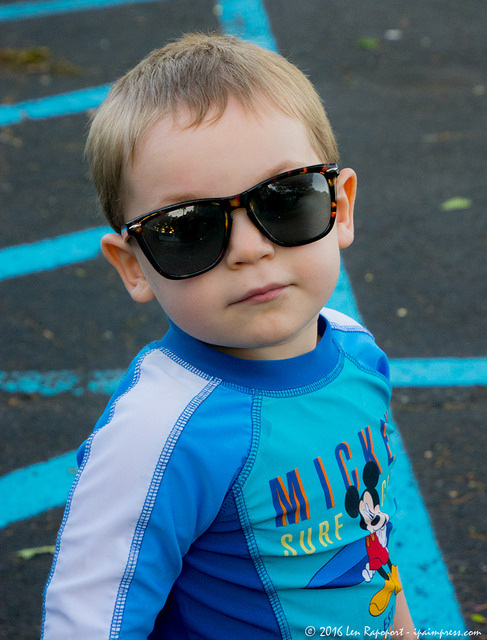 Since we had a few hours before my son and his family would arrive we decided to walk the park and take some photos and video for this article. Visitors have quite a bit to see and enjoy in the park. There are Rides, Water Rides and Shows and Parades. When our three young grandchildren arrived we could see the excitement in their faces. You can see twins Gabe and Sydney handing their e-tickets to the attendant. 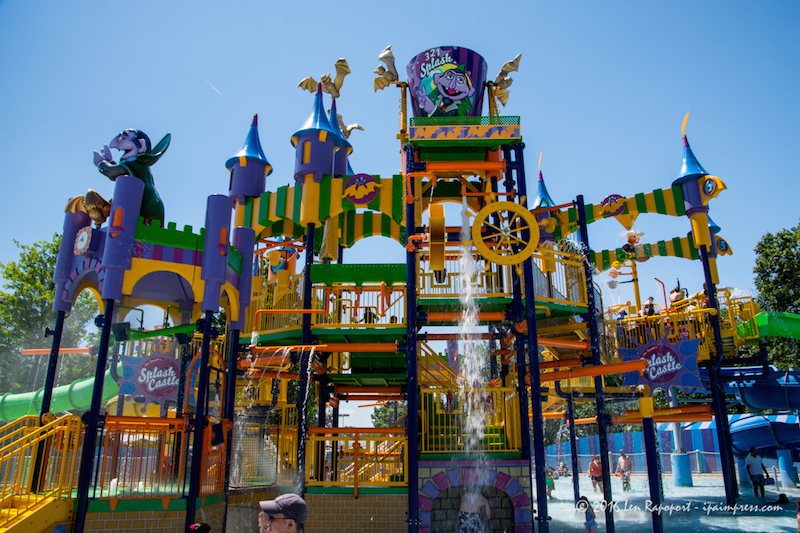 Since it was a very hot day, perfect for the Water Rides, we all changed into our bathing suits and headed for the Count’s Splash Castle. We all got wet, the water was cold but we loved it and then unknown to my daughter-in-law when you hear the Count, counting down 4-3-2-1, you need to get out-of-the-way as a giant bucket with thousands of gallons of water comes splashing down. She was drenched and a bit in shock, but wasn’t hot anymore. So much fun. One of my favorites was Big Bird’s Rambling River. I had some alone time while my wife was visiting some other attractions so I took the opportunity to get on a tube and ride through the 1,000 foot waterway around Sesame Island. Of course I didn’t realize that there would be a number of spraying geysers, waterfalls and under mock palm trees with water filled tipping coconuts. So much fun…When the entire family arrived we took Reid our 5-year-old and Gabe one of our 3-year-old twins to go with us. They loved it…so much laughter and fun and it cooled us off. The waterway is only three-foot deep, so you could get out of the tube and walk through it as well, which is what my wife did as she guided Gabe’s tube around some of the water features. 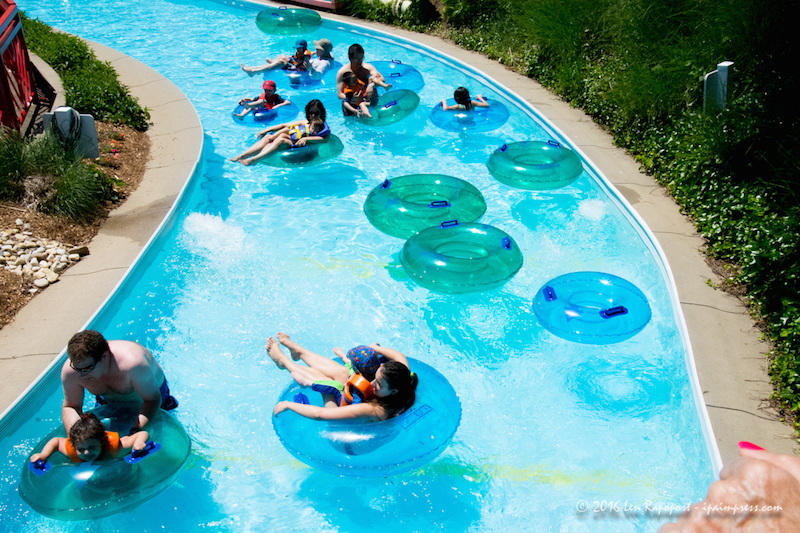 See all their water attractions and rides here. After cooling off it was time for some rides. If you are daring you went on their roller coaster Vapor Trail, if you are less daring you could of course go on the all time favorite the Carousel. But the children seem to love the Flying Cookie Jars, the Monster Mix-Up and Elmo’s Cloud Chaser. 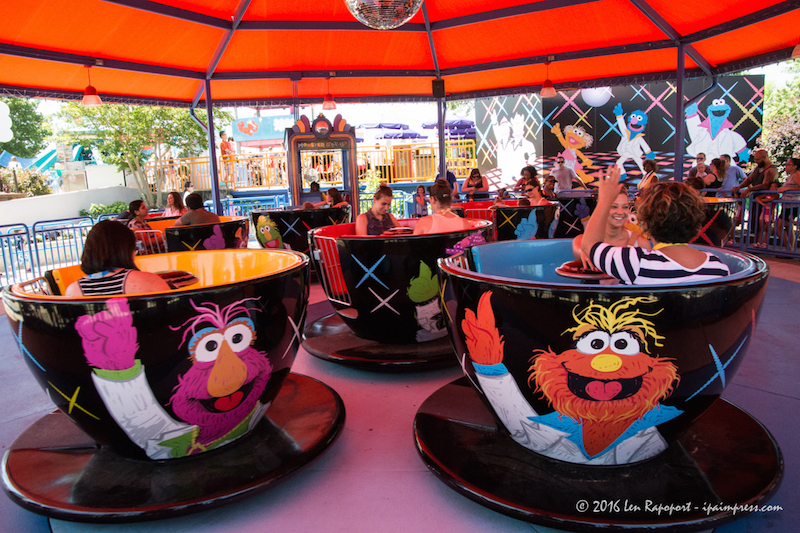 You can see all 21 rides and activities here. Although we didn’t have time to see any of the shows, we did watch the parade at 3 PM and again at the close of the park at 7 PM. The 7 PM parade was the better choice you were able to get a good view of the parade on the entire route because the park closes at 7 PM and many people had already left the park. Parades are great and their was lots of music, your favorite Sesame Street characters and all of them made sure to high-five the kids and even invite some to play with them as you can see if our video. I love a parade and cover many in New York City, including the Macy’s Thanksgiving Day Parade and I loved this one too. The park has many events including a spectacular 4th of July Fireworks show. Check out their events section on their website. Single-day admission tickets at the front gate are $65 for all guests ages 2 and older. 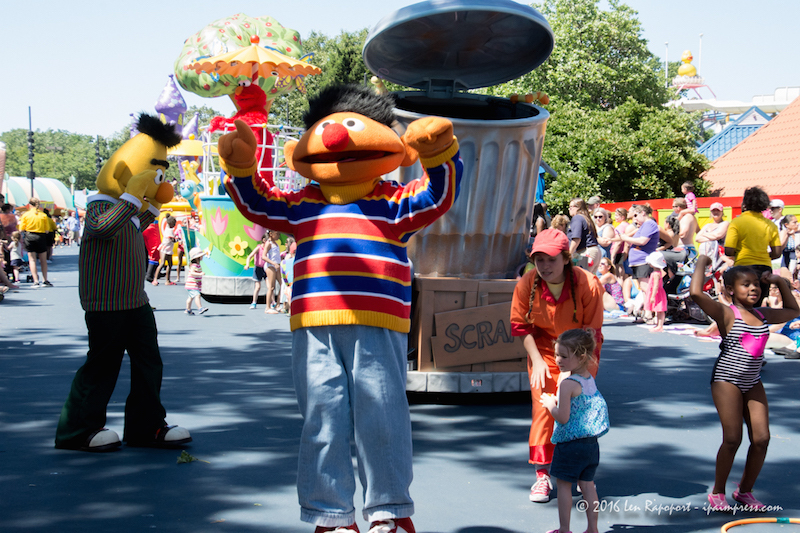 The best way to save on admission is to buy your tickets in advance at sesameplace.com. There are a number of promotions as is the case with all parks, so check their website and the internet for the best deals. Of course if you have a travel agent, they can arrange for your passes and save you some money too. For more on pricing click here. Season pass members can also buy guest passes at a 50% discount and use their passes for purchasing 50% discount tickets at other Sea World parks. Although I am always busy with my camera at any event I cover, I did have an opportunity to actually enjoy myself too. The entire family had a blast, the park is just the right size that you don’t get worn out walking miles from one attraction to the next. Every area is organized in a logical order and it is easy to visit one section of the park at a time as we did. They do allow you to bring your own snacks, but limit the size of any coolers or packages. Bring plenty of water, you will need it on a hot day. We froze a number of bottles of water so they were cold throughout the day. Everyone applied sun tan lotion before going to the park and again in the park. 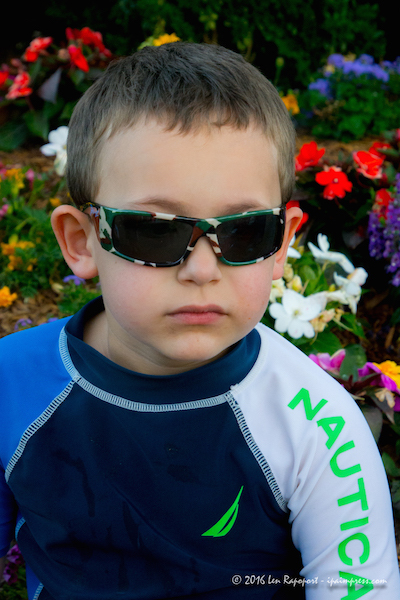 We all had hats and sunglasses too. They do rent small lockers, large enough for a change of cloths or other small items, the cost is $20. Parking in the general area is $17 for the day and in a preferred area which is closer to the park $20. Be prepared to spend more in the park because they have a number of shops and dining experiences. However if you are on a budget and bring some peanut butter and Jelly sandwiches and small snacks you will be just fine. If you have an underwater camera by all means bring it with you. There are a ton of great opportunities that I missed with my gear. Next time I will be prepared. Their Welcome Center near the entrance gate is there to help you make the best decisions and to find out more about season passes. They do rent strollers too. I would advise my readers to go and visit their website. Look through every page of the site there is tons of information there. 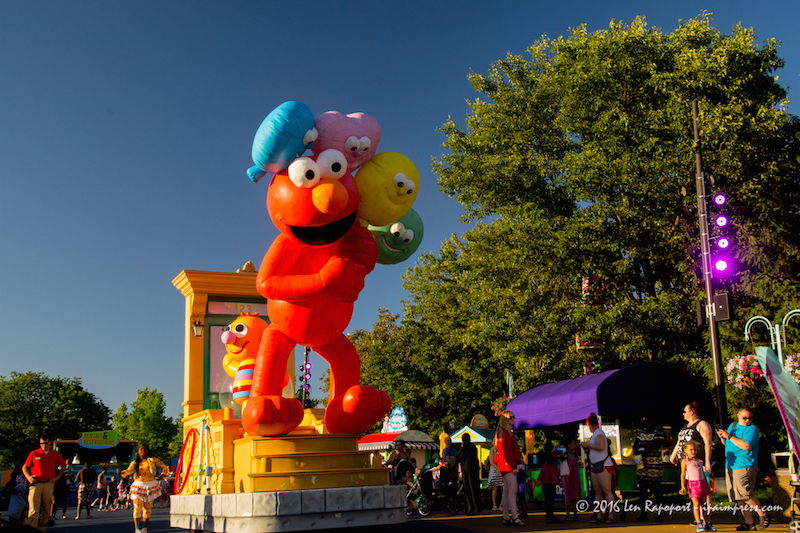 If you haven’t visited Sesame Place this is a must, especially for those that live on the East Coast. 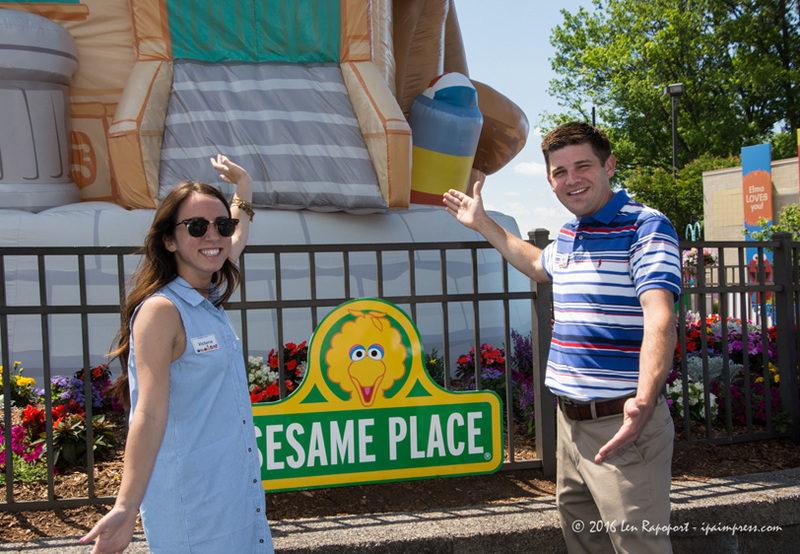 I have uploaded 117 photos from our day at Sesame Place…click the image below to see all of them. You can also download any for your personal use, social media or your personal website as long as you include our copyright info and we ask a link back to this article. Same holds true for our video.